Service, Quality, Trust & Experience! 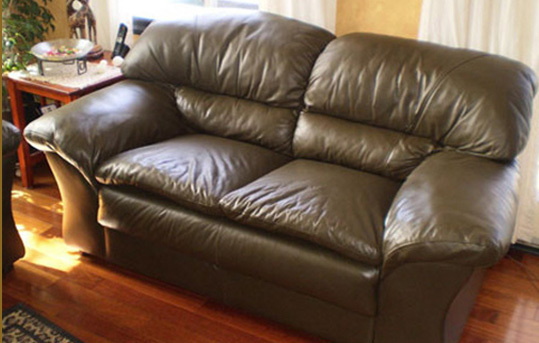 Classic Upholstery in St. Catharines, Ontario, specializes in Leather Restoration, Re-Dying, Re-Foaming, Cushions and Protective Coatings, as well as the specialty cleaning of Fine Cotton Fabrics. Call Classic Upholstery Interiors to expand your decorating options! We offer craftsman-standard Upholstery, attractive Window Coverings, Slipcovers, and an extensive line of stunning Fabrics. Whether your taste is contemporary or classic, opulent or understated, our professional team will make your home a place of dreams. Our caring and knowledgeable staff put you first, offering a level of service second to none. For more information call us at 905-641-1155 or visit our showroom at 121 Welland Ave., in St. Catharines. Quality Restorations & Custom Designs At Classic Upholstery, the possibilities are endless. Whether your needs are residential or commercial, we can help fulfill your decor dreams! With a huge array of stunning fabrics, backed by the technical expertise of our master craftsman, you can trust Classic Upholstery with all of your decorating decisions. With hundreds of fabrics and a wealth of patterns, textures, and colours to choose from, you can count on us! Excellent re-upholstery and slipcovers are available. Take the stress out of shopping and let us help you choose the best options for your home. Ask about our home decorating consulting services. In-store colour coordination advice and help with selecting the right fabric is always available. Classic Upholstery specializes in the restoration of leather for dental chairs, massage tables, lawyers’ offices and more! Give us a call today or visit our showroom!